Published: Aug. 30, 2018 at 08:31 p.m.
Tampa Bay Buccaneers quarterback Ryan Griffin completes pass to wide receiver Justin Watson for a 2-yard TD. Published: Aug. 24, 2018 at 10:51 p.m.
Tampa Bay Buccaneers QB Ryan Griffin connects with wide receiver Freddie Martino for a 19-yard touchdown reception. Published: Aug. 18, 2018 at 11:09 p.m.
Tampa Bay Buccaneers wide receiver Sergio Bailey hauls it in for six against the Tennessee Titans in Preseason Week 2. 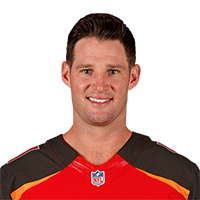 Published: Aug. 31, 2016 at 10:59 p.m.
Tampa Bay Buccaneers QB Ryan Griffin finds wide receiver Bernard Reedy for the 9-yard TD.